Follow these steps to mark changed translations in the Default Reference Language, to have contributors easily review the corresponding translations in the other languages. 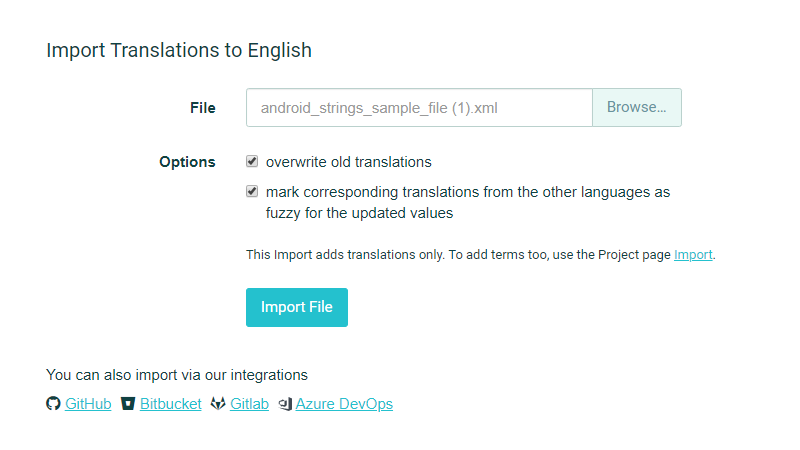 If you use the import in the Project page, choose to Also import translations in…, select the Default Reference Language (English in the screenshot), check the box to overwrite old translations, and then select the option to mark corresponding translations from the other languages as fuzzy for the updated values. 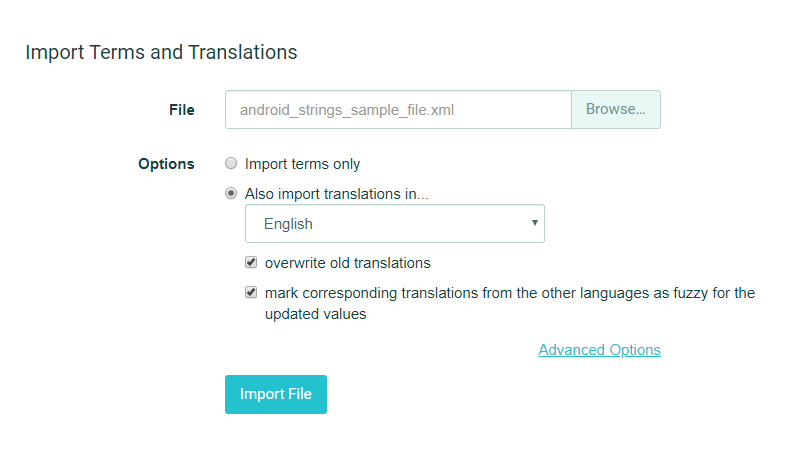 If you use the import in the Language page, choose that you want to overwrite old translations and to mark corresponding translations from the other languages as fuzzy for the updated values. You can also edit strings in the Default Reference Language manually, one by one, and set their corresponding translations as fuzzy. Go to View or Add Terms, search for the label of the string you want to change, then press Save. Don't change the label, and leave the box under it that says "Set all translations as fuzzy" checked. This will put a fuzzy flag on the translations in all the languages. To update the string in the Default Reference Language in the same page, hover your mouse over the label, press T to see the translations in all the languages, click on the string you want to change and edit it. In the Project page, there is a Notify Contributors button in the side menu. 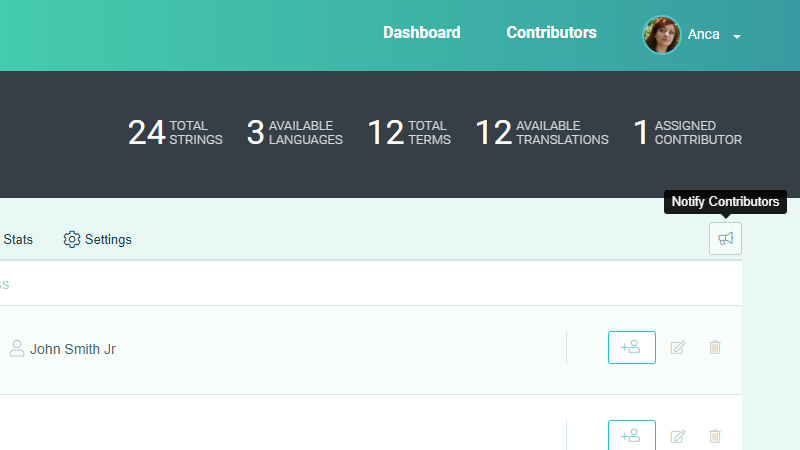 Use it to let contributors know about the changes, and tell them to review the fuzzy translations in the languages they are assigned to. They can easily order the translations by fuzzy first or choose to see only these translations using the filters at the top of the language page. After review, they can use the Toggl Fuzzy Translation button (F button next to the translation) in the Language Page to remove the fuzzy flag.